We have supper in the large dining room of the restaurant, which is located directly on the Elbe. The typical Bauhaus large windows with their small-scale structures grate the view of the calmly flowing stream. In the late evening, we will be spoiled by a magnificent sunset. 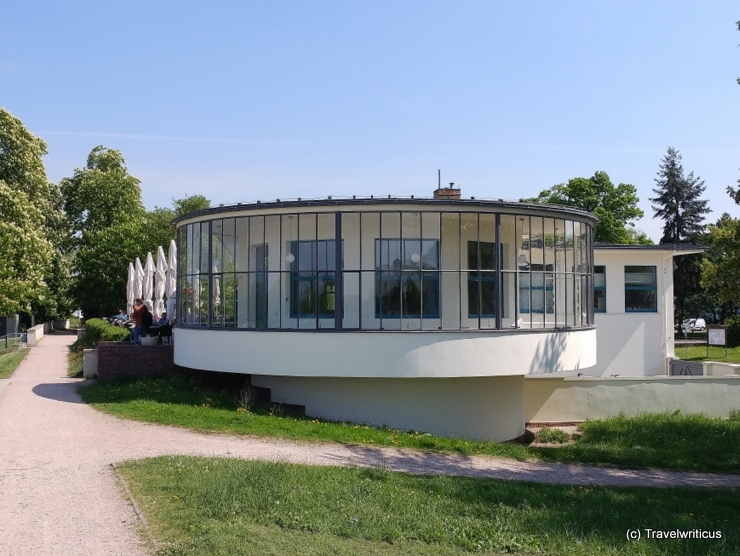 This entry was posted in Architecture, Bauhaus, Restaurants and tagged Dessau-Roßlau, Germany, Saxony-Anhalt by Travelwriticus. Bookmark the permalink.